A lot of people assume that being a leader is something that either comes naturally or doesn’t. While it is true that some people have more leadership traits in their personality, this does not mean that you cannot develop into an effective leader. In fact, most people would agree that being an effective leader is something that is largely taught. With that in mind, read on to discover some of the common mistakes you need to avoid if you want to be considered an effective leader. 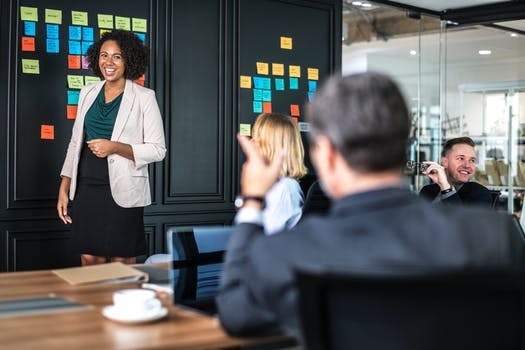 Overlooking the value of leadership training – Following on from the introduction, leadership skills can very much be taught, so do not make the mistake of overlooking the value of this. Plus, thanks to the dominance on the Intenet today, you can easily take an online training course, such as an online bachelors degree in organizational leadership, meaning you can attain a premium quality qualification in your own time. It does not need to get in the way of your career. A lack of delegation – A lot of individuals in leadership roles are reluctant to delegate tasks because they feel that no one apart from themselves can do the important jobs properly. Not only does this mean that you are going to be taking on way too much work, but it indicates that you do not trust your team. This will get in the way of you and your team achieving business and project goals. Not ‘walking the walk’ – You talk a good game, but do you back it up? If you speak negatively about the CEO, make personal calls during work time, or do things that you expect your team not to do, what sort of example are you giving? A good leader acts in the same way as they expect their team to. Don’t forget that your team is watching you all of the time and the way you act will determine whether or not your team respects you as a leader. Misunderstanding motivation – Finally, another common error that those in leadership roles make today is a misunderstanding of what motivates their team. It is easy to think that money is the only motivator. Yes, it is one, but it is likely that your team cares about more than just pound signs. What about a greater work/life balance? What about better training and progression opportunities? If you find out what really motivates and inspires your team, you will be able to use it to your advantage to ensure success. As you can see, there are a number of different mistakes that a lot of people make today when it comes to their leadership skills. Hopefully, the information that has been provided will help you to get a better understanding as to what does and does not work as a leader in any capacity, whether you are leading an entire business or a small team.